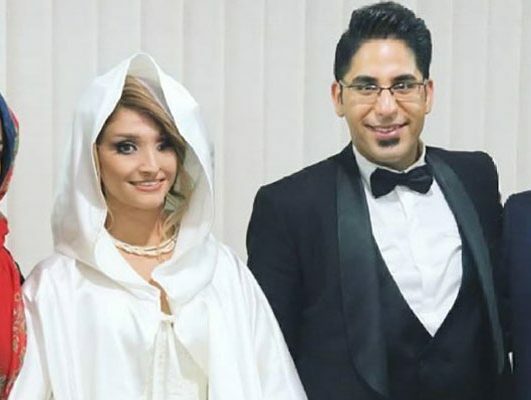 Marzieh Ebrahimi, a young Iranian girl who fell victim to an acid attack years ago, has tied the knot. Her marriage has turned into the most high-profile one in the country, not because she is a celebrity or an artist, but because she is the victim of an acid attack. Back in 2014, Marzieh had an appointment with a dentist and was stuck in traffic in the central Iranian province of Isfahan. She rolled down her car’s window only to see a huge volume of pure acid splashed on her face. Unfortunately, she lost part of her face and the cornea of an eye in the acid attack. Marzieh had not been heard from for a long time. However, the news of her marriage made headlines in media, particularly in social media. 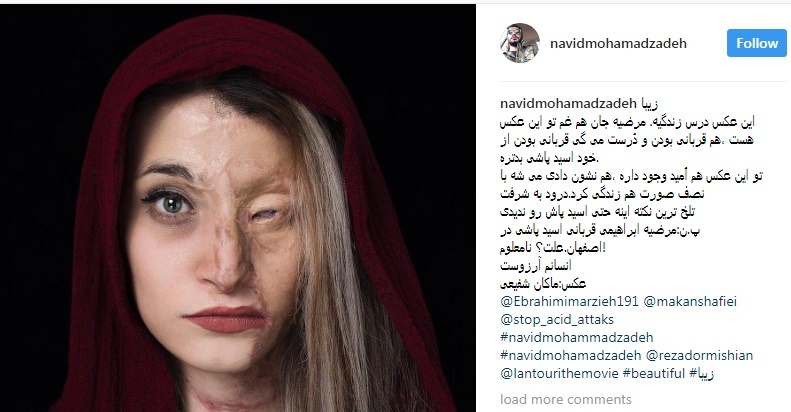 The news was so impressive that Navid Mohammadzadeh, a renowned Iranian actor who plays the role of an acid-attacker in one of his movies (Lantoori), has posted on his Instagram page about that. The man who married Marzieh did so without paying attention to her appearance. This beautiful and impressive development can send important messages to young couples.